Happy November Leaders! Here are some announcements for November so you can plan and promote with your teams. 90 Day to Achiever – This training will be focused on basic skills needed for the new Associate through Believer. We will workshop Inviting, Presenting, Follow up and Close. Going for Gold – Is a more advanced training designed for the Achiever and above looking to go for Gold. The workshops will include: Identifying and Duplicating Leaders, Growing your Numbers, Time Management, and Round table strategy sessions. An Associate must be an Achiever or above to attend the Going for Gold training. Gold Directors and above are welcome to attend this session. All information on the tour is up on the HUB! Click here for flyers, agendas, and to register at one near you! 2. New Year New You – We are ready to kick off the New Year with our New Year, New You 2016 tour! In partnership with local leaders, USANA will be hitting the road with Scientists, Doctors, and USANA Field Leaders to provide training at these guest-focused events. Each location will be hosting a Healthy Mixer to promote the Reset Challenge as part of the overall New Year, New You presentation. Once again, the New Year, New You Tour will be conducting language specific locations to support our Latino and Chinese communities. The tour runs from January 4 – 24, 2016, all locations and dates will be posted on the HUB by mid-November. 3. RESET Challenge – Be on the lookout, in the middle of December we will begin preparations for our RESET Challenge for 2016. Exact dates and more details will be available in December, and as mid-December begins the preparations, the RESET Challenge itself will begin mid-January. 4. 2016 SWEET Retreat #Sweet16 – To our SWEET Sisters, and all of our first time attendees, we are so excited for our 5th Annual SWEET Retreat! Another opportunity to network with likeminded women, receive specified training, pamper yourselves with a spa party, recognize your peers, and dance ‘till you drop! 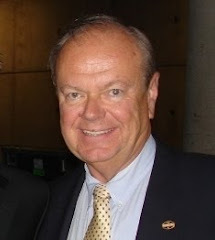 It’s one of the most exclusive, amazing events USANA puts on. Be sure to spread the word to your female teammates and friends! Be sure to get a room in the room block (bit.ly/USANASweet2015). Space is limited, so get registered quickly! Click here to register! Grace Keohohou will also be doing an all day training the Sunday after SWEET Retreat, sponsored by the DSWA – this is another event not to miss, so be sure to plan accordingly so you can attend! Register here for this event! The awards period for Gala recognition will go from January 3, 2015 to December 25, 2015. 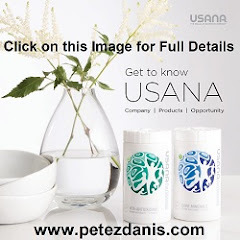 Keep your eye on our USANA United States Facebook page for updated results at the beginning of each month! If they’re able to do this, they will win an exclusive Future Leaders all day training and reception on April 14th where they will learn from our top leaders. They will also receive registration for the U.S. National Celebration, onstage recognition, a one-night stay at the hotel for the U.S. National Celebration. Let your teams know about this amazing promotion where anyone can be a winner! 6. 2016 International Convention – Have you pre-registered for 2016 International Convention? Remember Dr. Wentz’s final words at Convention this year? It’s going to be an amazing event! Get your teams there by getting them to here now! 2. 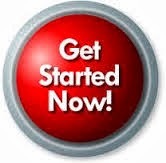 Leadership Summit – Your Director or above must average 7,800 Commission Volume Points (CVP) total for a 13 week period. This is an average of 600 CVP weekly (no more than 800 CVP will be counted for each week). We learn & grow, network, and have so much fun at these Summits – take a look at the photos of our Leadership Summit in October! 3. WTA – We will be holding a promotion in conjunction with the RESET Challenge for the opportunity to be in a suite at one of two WTA events in Miami and Indian Wells. Specific dates for the suites and details of the contest will be announced at the end of the month. The contest will run December 1 – Jan 31, 2016. 4. Trusted Partner and Sponsor of the Dr. Oz Show – Season 2 of our partnership with the Dr. Oz Show is well under way! This next show will be featuring Digestive Enzymes! Stay tuned for more details. Season 1 shows are below. *All details for events or promotions are located on the Contest and Events tab on the HUB and they are listed in the HUB Event Calendar. *All details and registration for events are located on the Contest and Events tab on the HUB and they are listed in the HUB Event Calendar. I can tell you that 100% of the time I will say, “I don’t really think that’s a good idea.” The Power of Focus indicates that what you focus on will grow and be successful. Remember that Steve Jobs wasn’t successful because he was great with the technical aspect. He was great because he focused on the most important thing. What a lot of you do is you dabble and mess around with your opportunity. If you would just give 180 days of really focused effort, then all of a sudden you’d see your volume grow. You’d see that you’d hit the next promotion level and you’d start to make more money. I never recommend that you try to do two or three opportunities at once. One of the secrets to being successful in Network-Marketing is to find that product or company that you can really align with and you can set a path there to be successful. You don’t want to dilute your energy, efforts or your focus. Remember, what you focus on grows and expands. Take the company that you have (that you attracted in the first place) and do your best that you can. Run hard with it for six months or a year and then make a decision about possibly doing something else. 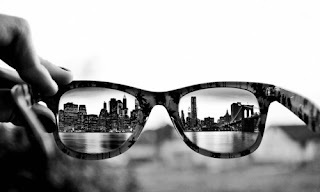 The Power of Focus will always help you to win out. I’ll see you on the next blog. 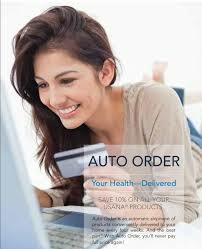 USANA Auto Order: 100 SVP or 200 SVP? You Decide. * EXAMPLE: Any one person who values good nutrition, has a body with skin, hands, hair, eyes and teeth (including crowns, caps and fixed bridges), showers occasionally, washes their hair once and a while, and wants to optimize their immune system can quickly and conveniently produce 200 SVP with a HealthPak (100 SVP), one Sensé Hair & Body Pack (50 SVP), one Natural Whitening Toothpaste (5 SVP), one bottle of Visionex (25 SVP) and one box of USANA Probiotic (20 SVP). Total: 200 SVP. This is affectionately known by many as the “Pete Pack”. ** The USANA True Health Foundation allows the USANA family to deepen an already solid relationship with Children’s Hunger Fund (CHF). Since CHF began in 1991, $927 million in food and other resources have been distributed to serve the needs of more than 10 million children in 35 U.S. states and 72 countries worldwide. The USANA family has given more than $18 million in cash and donations of Usanimals™ multi-vitamin and multi-mineral supplements to-date. Your donation to CHF will help provide much-needed nutrition to children who would otherwise wake up each morning suffering from malnutrition and hunger. Make an impact on the lives of these children through a one-time gift or recurring Auto Order donation, and start changing lives today through the USANA True Health Foundation and CHF. Now that you have the facts, the choice is yours. This article may only be copied, shared, distributed or otherwise reproduced in its entirety, including this disclaimer and copyright authorization. A new study shows that when mothers supplement with 2000 IU/day of vitamin D nearly all (98%) unsupplemented breastfed infants are protected against vitamin D deficiency, whereas only about half have sufficient levels if the mother is only taking 400 IU/day (RDA – 600 IU). Vitamin D supplementation is recommended during pregnancy. But after birth, the ability to maintain healthy vitamin D levels in breastfed infants is more difficult, so vitamin D supplementation is generally recommended for breastfed infants. In a new study published online in the American Journal of Clinical Nutrition, researchers sought to determine the effect of three different doses of maternal vitamin D supplementation on infant serum vitamin D levels when taken during pregnancy and continuing for 8 weeks after birth. The study included 226 normally healthy pregnant women who were randomly assigned to receive vitamin D dosages of 400 IU, 1000 IU, and 2000 IU per day from the second trimester until 8 weeks postpartum. The infants were not given vitamin D supplementation. Blood was collected for analysis at 8 weeks after birth. The average serum vitamin D level in infants whose mothers took 2000 IU/day was higher (75 mmol/L or 30 ng/ml) than in 1000 IU/day group (52 mmol/L or 20.8 ng/ml) and the 400 IU/day group (45 mmol/L or 18 ng/ml). Only 2% of the infants born to mothers supplemented with 2000 IU were considered deficient compared to 16% and 43% in the 1000 IU and 400 IU group respectively. Less than 15% of the infants in the 1000 IU and 400 IU group reached a vitamin D level over 75 mmol/L (30 ng/ml) compared to 44% born to the group supplemented with 2000 IU/day. The mothers supplemented with 2000 IU/day had an average vitamin D level of 88 mmol/L (35.2 ng/ml) at 8 weeks postpartum, while the mothers taking 1000 IU and 400 IU had lower average levels at 78 mmol/L (31.2 ng/ml) and 69 mmol/L (27.6 ng/ml) respectively. The results of this study indicate that supplementation with 2000 IU/day is required beginning in gestation and during the first 8 weeks of breastfeeding to protect 98% of unsupplemented infants against vitamin D deficiency. Nearly half of unsupplemented infants of mothers taking 400 IU/day were vitamin D deficient after 8 weeks of breastfeeding. Kaitlin M March et al. Maternal vitamin D3 supplementation at 50 μg/d protects against low serum 25-hydroxyvitamin D in infants at 8 wk of age: a randomized controlled trial of 3 doses of vitamin D beginning in gestation and continued in lactation. First published July 8, 2015, doi: 10.3945/ajcn.114.106385. A new study shows that inadequate levels of vitamin D in the blood are linked to worsening progression of knee osteoarthritis. Osteoarthritis is the most common form of arthritis, affecting millions of people worldwide. It occurs when the protective cartilage on the ends of your bones wears down over time, eventually allowing bones to rub together. Osteoarthritis typically worsens gradually, but maintaining a healthy weight, staying active and some other treatments may help slow disease progression and improve joint function and reduce pain. A new study published in AgRearch magazine indicates that low vitamin D levels may be related to an increased risk of developing osteoarthritis. Researchers at Tuft’s University analyzed data from a large study to investigate the possible interaction between blood levels of vitamin D and parathyroid hormone (PTH) on the progression of osteoarthritis. Vitamin D and PTH work together to regulate calcium and phosphorus metabolism. Study participants were part of a longitudinal study known as the Osteoarthritis Initiative, were between 45 and 79 years of age, and had at least one knee with evidence of osteoarthritis. A total of 418 subject who met criteria were followed for 4 years, and their knee osteoarthritis progression was tracked using radiographs and related to vitamin D and PTH levels in the blood. When compared to subjects with healthy vitamin D levels, those with low vitamin D levels (< 15 ng/ml or 37.5 mmol/L) had more than twice the risk of their osteoarthritis worsening throughout the study. Subjects with both low vitamin D and high PTH levels were more than 3 times more likely to have worsening symptoms than participants with normal concentrations of both PTH and vitamin D.
The results of this study indicate that vitamin D deficiency is likely a risk factor for osteoarthritis progression, and that maintaining healthy blood levels through adequate dietary and supplemental intake may be beneficial in adults with osteoarthritis. Become a USANA Associate Today!